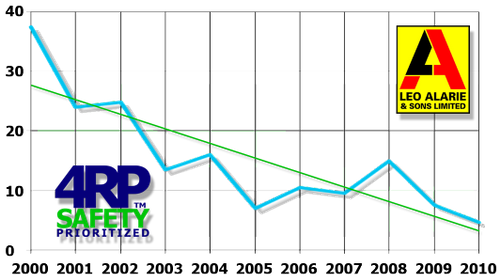 4RP Safety Messaging is a patented safety messaging system that has been proven to work after a decade of use in the heavy construction industry. The consistent use of 4RP Safety Messaging results in an engaged, better educated and confident employee who will contribute to a safer work environment for everyone. The result, we reduce accidents, their associated costs and increase overall employee productivity. 4RP prioritizes the Right Messages and then transmits them to the Right People at the Right Time. The Realities of Communication: Meetings can be great, safety committees can provide a structure for discussion, but do the messages reach the 80% of your employees in the field who are doing the work, and may be making “at risk decisions”? If the The Right Messages don’t get to the The Right People, at the The Right Time – all the meetings in the world will not prevent accidents or build an effective Safety Culture. 4RP communicates daily with messages that say something relevant. It reaches all levels in an organization with the same message every day. And 4RP Safety Messaging builds on your existing company safety processes, creates them for you if you don’t have any, and delivers daily messages that are relentless, specific and not forgotten. A Proactive Safety Culture consists of a pool of ideas, thoughts, images, practices and individual approaches to personal safety. 4RP researches these areas, works with each company’s specific objectives, and as a result, 4RP may replace practices that are less effective, and improve the direct communication with each employee. 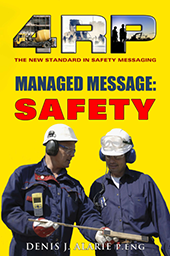 4RP Safety Messaging simplifies the transmission of information and ideas.